So, what is the problem we are trying to solve? Because People are throwing regular paper towels in the toilet that don’t disintegrate. Because people are stupid!? Because people don’t know how to use a toilet and they throw paper towels in their toilets at home? Maybe. So let’s put a sign. Does that solve the problem? Of course NOT! So why are people throwing paper towels in the bowl? 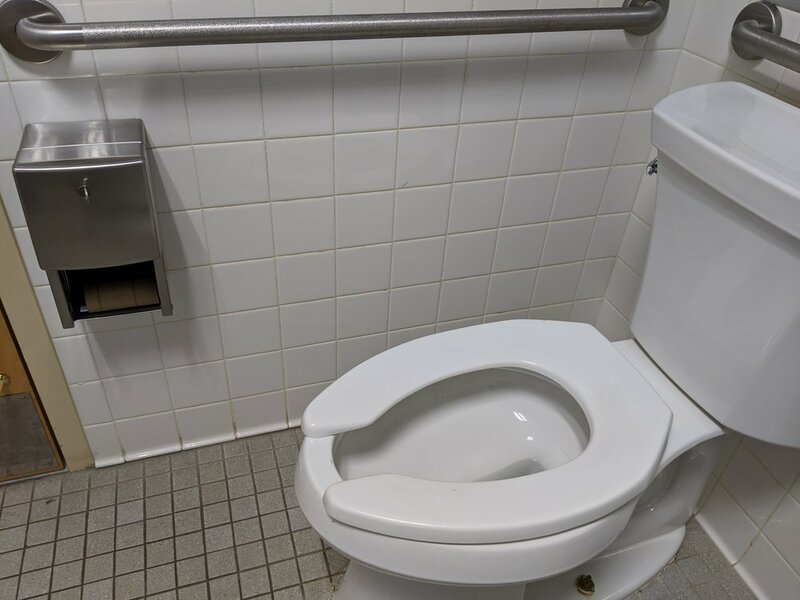 Is it because paper towels are more easily accessible than toilet tissue? See this picture. What do you notice? Exactly! There is no toilet paper. They ran out of it. What do you expect to do if there is no toilet paper? Moral of the story, problem solving and getting to the root of any issue can be as simple as asking “why”. Ask ‘why’ 5 times and you will get to the root cause of any problem and find a permanent solution.